These are nice. I don’t normally like white shoes; too mod for me, but the colored stitching adds a lot of character and they’ll dirty up nicely with road grime and mud. 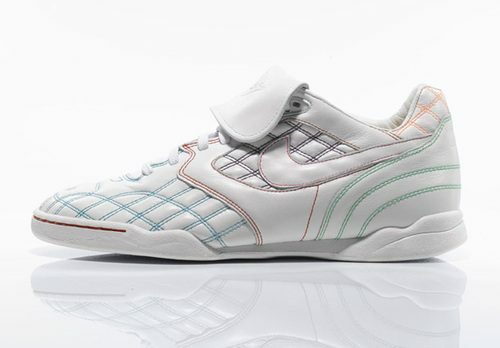 Nike‘s Air Zoom Tiempo is a re-issued indoor soccer shoe marketed towards urban cyclists. Artoo is a graphic designer, cyclist and co-blogger at Hypebeast.